Peel and cut the cassava into pieces. Wash and place the cassava in a pot. Next, add some water and boil the cassava until it is almost tender, remove from the stove and drain away the water. Then add coconut milk to cover the cassava. Add to the cassava, salt, some diced onions (optional) and green chili peppers. 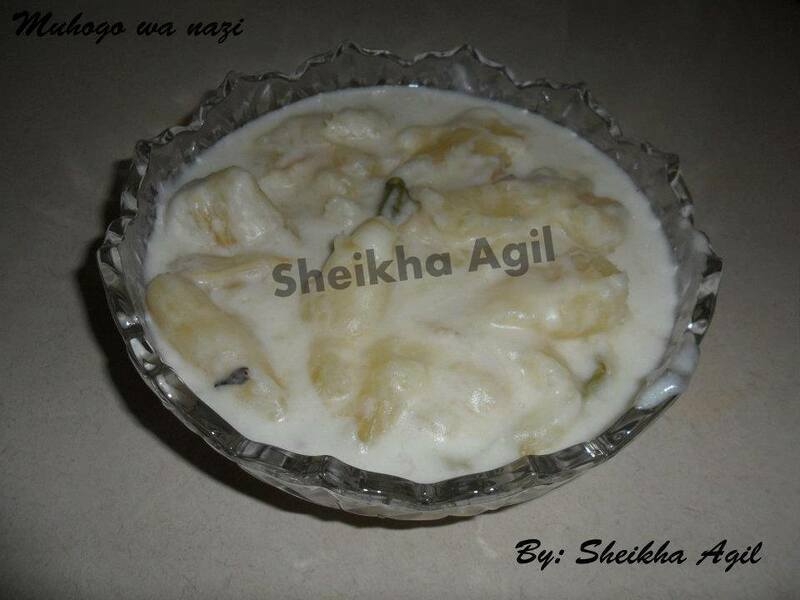 Cook until the cassava is completely soft and the coconut milk has reduced. Remove the pot from the stove and keep aside. Now take a small pot and add heavy coconut milk and cook it until it thickens, then pour it over the cassava. Then remove the cassava and serve it in a bowl.